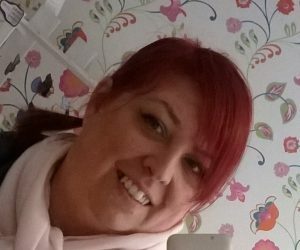 Jacqueline ‘Jacq’ Munro is a complementary therapist based in Glasgow. Her passion for comp. therapies started with her studies at Edinburgh Napier University where graduated with a BSc Complementary Therapies (Reflexology), even achieving the highest marks of her degree (yay Jacq!). 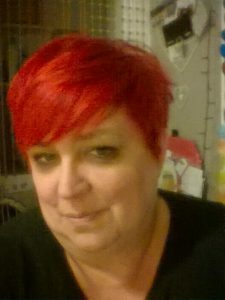 Over the years you may have run into Jacq at various events in the central belt, and further afield; if you have you’ll likely recognise her for her vibrant hair colours and incredibly passionate and positive approach to her work, and everything that comes along with it. When she isn’t working (which isn’t much! ), Jacq likes to spend time with her family, and even occasionally dabbles in cooking for her friends. But she’d much rather have someone else cook for her! Her favourite colour is rainbow, which you’ll realise as soon as you step into her home-based therapy room. A canvas of white, splashed with every colour of the rainbow, twinkling fairy lights and unbelievably cozy blankets, Jacq has worked to create a welcoming, safe and calm space for her clients. Jacq continued her studies at the University of Stirling, where she studied for her Masters in Education (TQFE), since then she has taught at City of Glasgow, Jewel & Esk and Perth Colleges. Teaching has always been a labour of love for Jacq as she genuinely loves to teach and share her knowledge and experiences with like-minded individuals at various courses and masterclasses that she runs throughout the year; previous attendees have been members of the public, complementary therapy students and qualified therapists, physios, OT’s and nurses, so if you are drawn to any of the classes, don’t hesitate to get involved! Though based from her Dennistoun home, Jacq travels extensively for her work and can frequently be found in Dundee, Elgin, Edinburgh, Aberdeen and in her home city of Glasgow. Usually, never too far from her beloved diary, without which she’d be lost! Treatments are offered throughout the week and weekend and can be arranged to suit, but make sure you book with plenty of advance notice to ensure you get the time and day that works best for you.